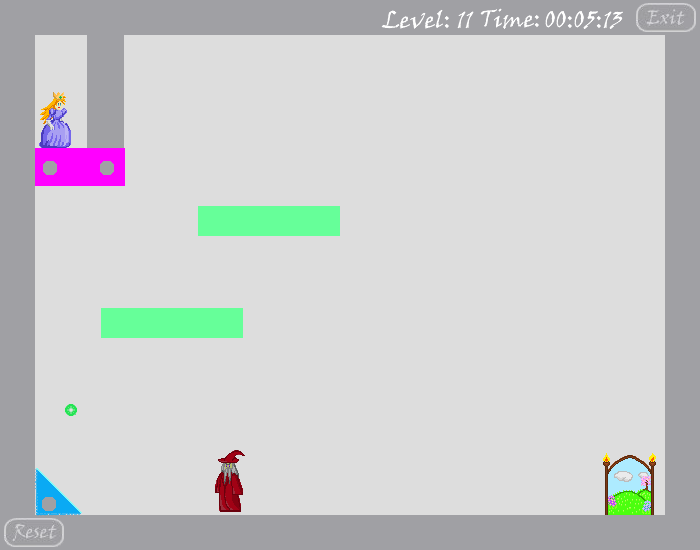 This is an old project, from my first year of University. 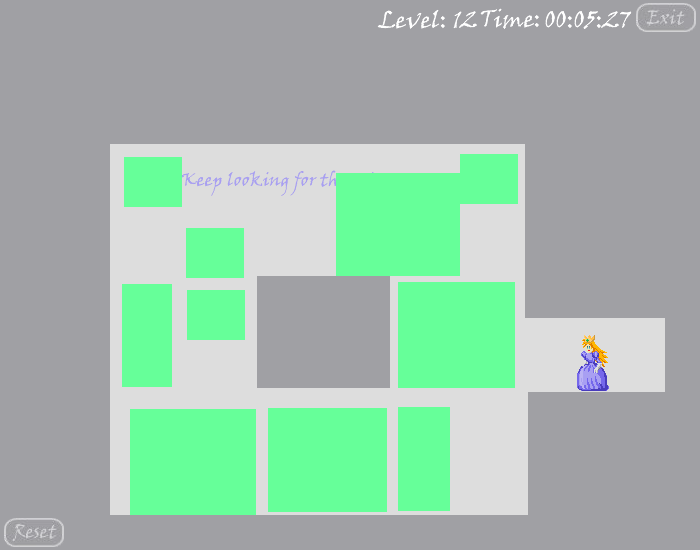 It’s the first video game I ever made and it’s still one of my favourites, despite being extremely rough around the edges. 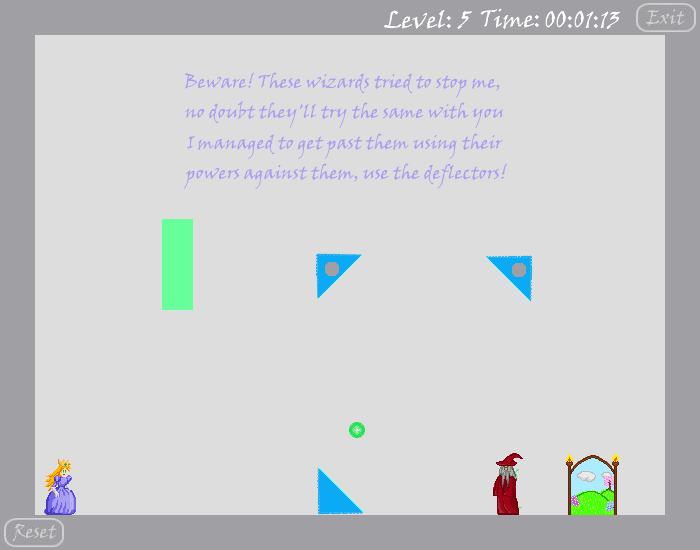 It was the main project for the Multimedia II module, where, in pairs, we were tasked with creating a game using Adobe Director. 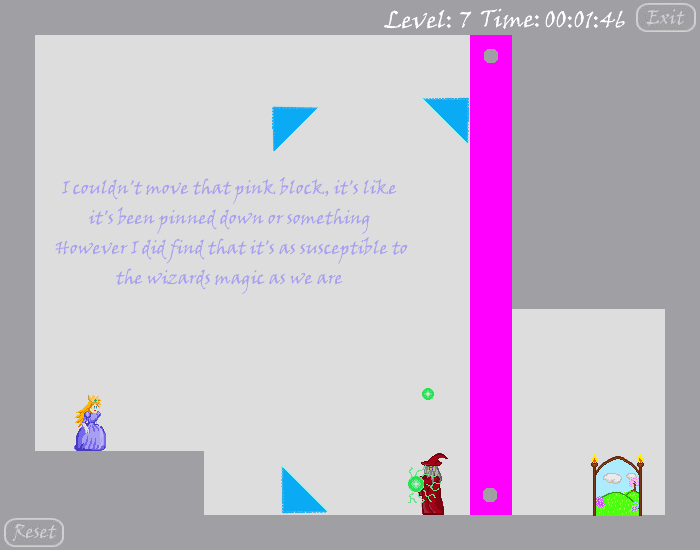 Despite the technologies we were asked to use, I was thrilled to have made a game by the end of my first year, and the experience definitely gave me the game design bug. If you wish to play the game, you can do so on this page. It requires the Shockwave plugin, and is at least 5 years old, so may not load correctly. If this is the case, I have provided some screenshots and animated gifs in the gallery at the bottom of the post. 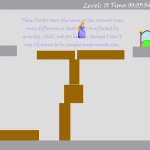 My partner and I brainstormed a few game concepts before agreeing to go ahead with one of my ideas, a puzzle-platformer where the levels are solved by dragging blocks around to create bridges and reveal paths. 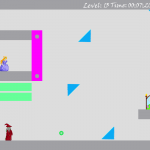 My role within this project was focussed heavily on the game design; I am responsible for the vast majority of the levels, the game concept itself, and the different block mechanics. I also contributed all the artwork, and much of the documentation required for the module. 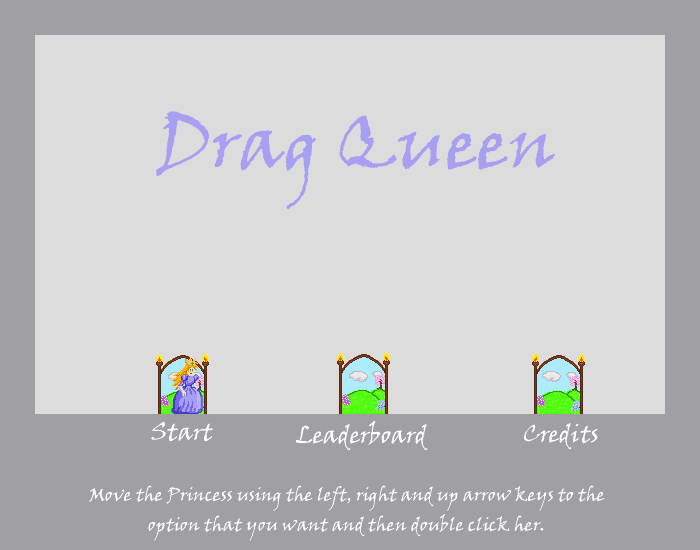 The game was born out of the concept of a princess escaping her captors by herself; so many games use a damsel in distress as a form of motivation and reward for the protagonist and player, so I wanted to subvert that trope. I wanted this character to use her wits and intellect to beat the levels, not brute force like in so many other games whose playable characters are capable only of running, jumping and shooting. 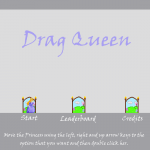 So the Princess has no offensive capabilities of her own, but can influence the levels themselves in order to overcome the obstacles presented. 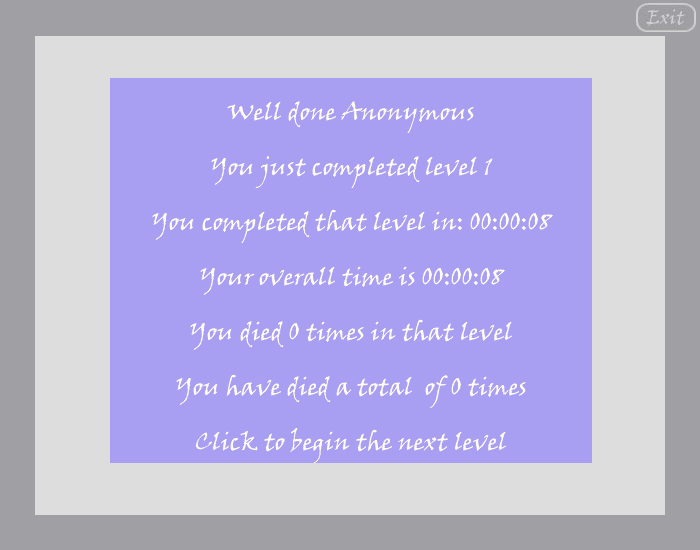 Finally, I didn’t want the game to rely on lives, continues or checkpoints; the project requirements dictated we include some form of scoring and leaderboard, though, so I came up with the system of scoring only on the time taken. 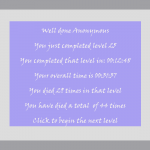 Players who don’t care about such things can ignore it, but players who want to top the leaderboards can try to solve the puzzles as fast as possible. 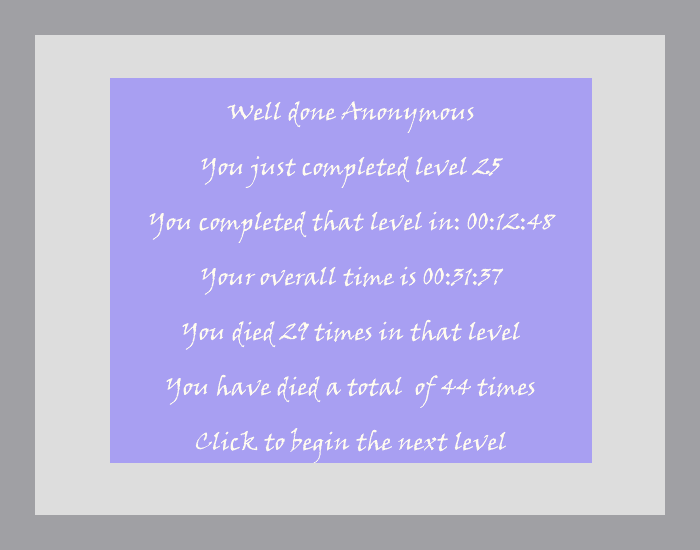 When the player dies, there is no penalty other than the fact the timer does not reset; your failed attempts all feed into your total score. 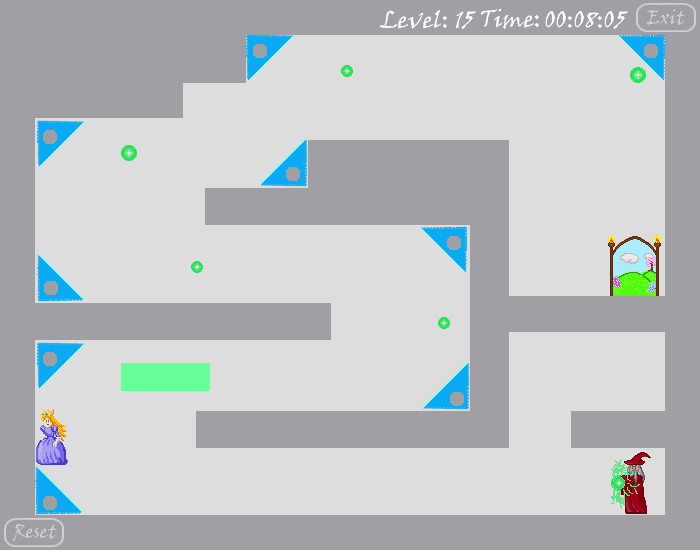 This was heavily inspired by games like N+, which have no concept of lives, where the player’s skill and patience is the only barrier to completion. 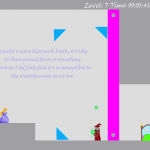 The Princess can run and jump. That’s it. She will die from a large fall, if crushed or if hit by a projectile. 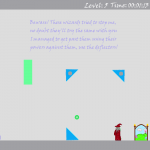 Wizards are trying to stop the Princess leaving the castle. They periodically fire projectiles. 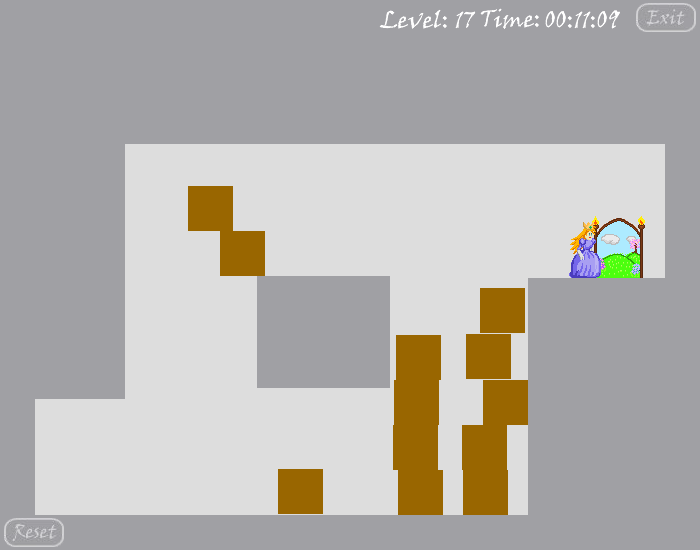 The player may also move blocks as long as they are not pinned down. 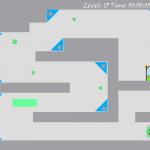 Green blocks float freely where placed. 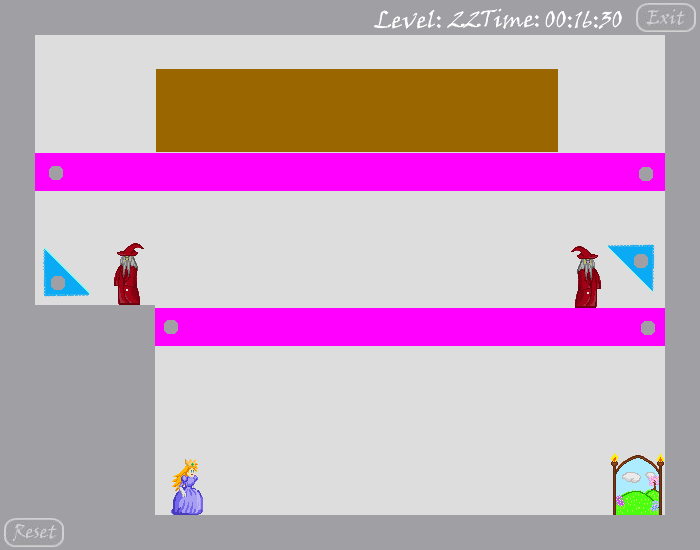 Brown blocks fall in accordance to gravity and can crush the Princess and wizards. 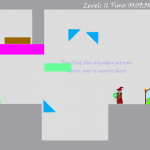 Blue blocks redirect projectiles by 90 degrees. 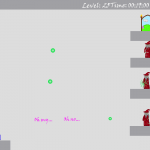 The player can chain these together to direct the projectiles as they wish. 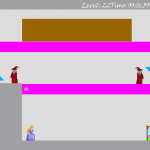 Pink blocks can be destroyed by projectiles. One last detail is that the exit to each level always shows a beautiful outdoor vista, as if that’s the final exit from the castle. The Princess never quite reaches that utopian scenario, however. 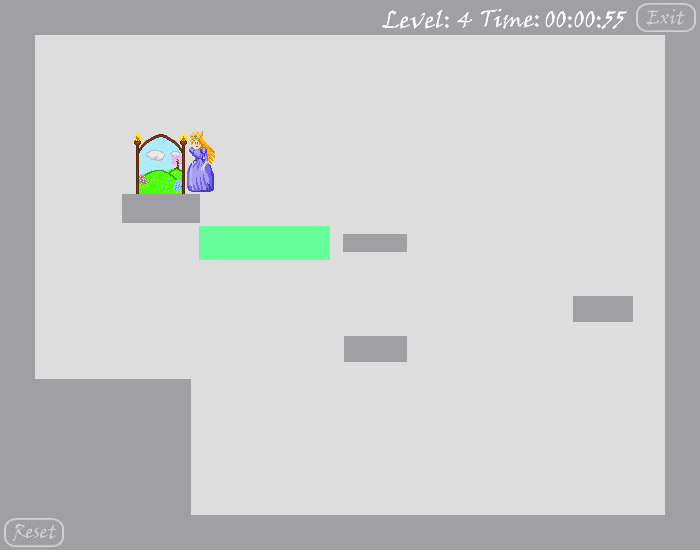 I wanted to convey to the player that the hope of escape was ever present, but difficult to really achieve; so in that sense the game becomes a little Sisyphean in nature, but thankfully there are a finite number of levels, so the Princess isn’t trapped in this limbo forever. 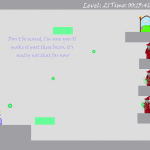 Playing the game now, it is extremely rough and has some glaring flaws, both technically and from a game design perspective. 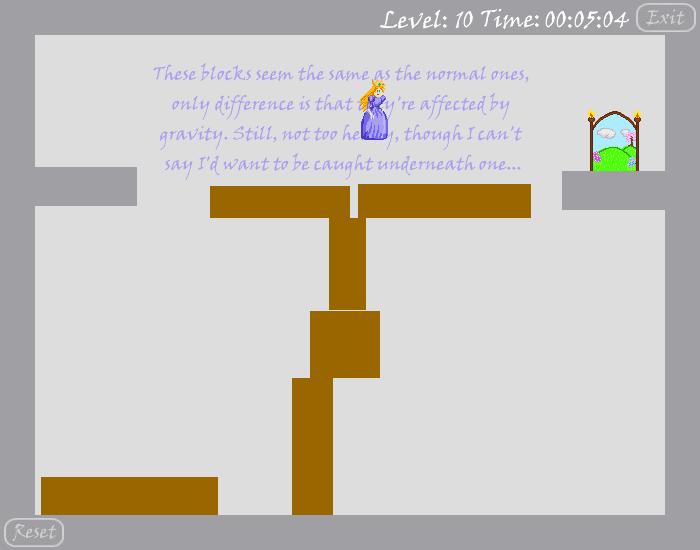 Firstly, due to our inexperience, we struggled to make stacks of blocks work properly in cases where the player is trying to move any blocks situated beneath the top of the stack. 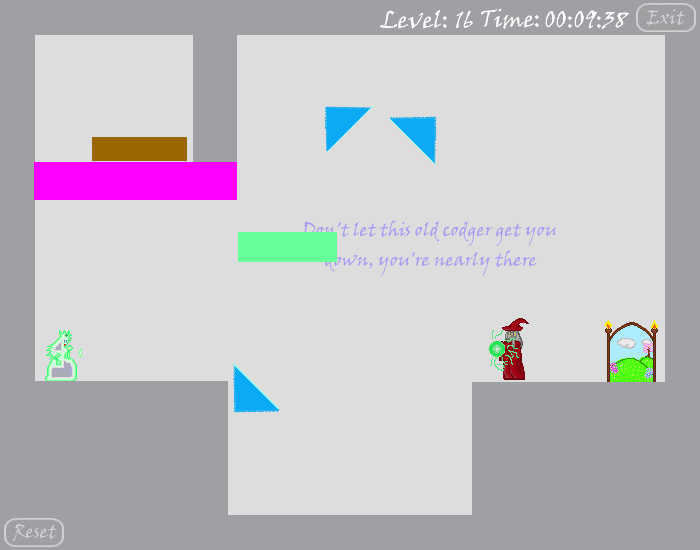 To work around this, we simply removed the ability to move blocks when they had any others on top of them. 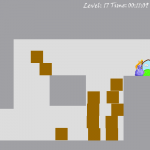 This can cause a lot of sticky feeling block movements, and sometimes leave the player trapped and forced to reset (very prevalent on the doughnut-shaped shuffle levels). 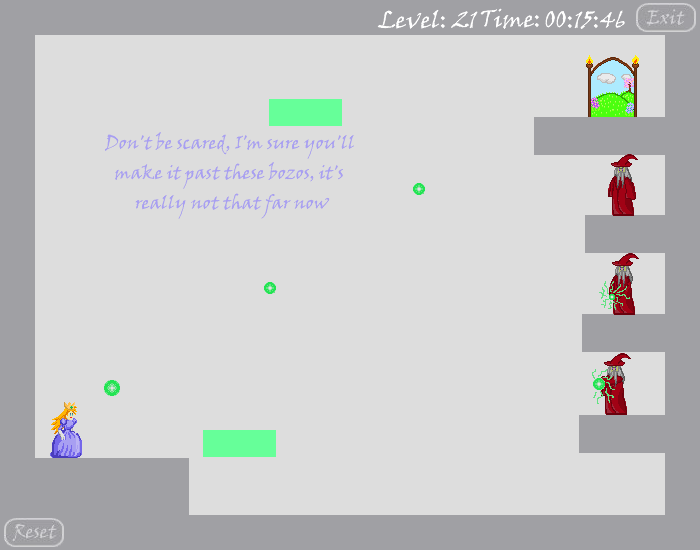 Secondly, the game suffers a huge exploit. 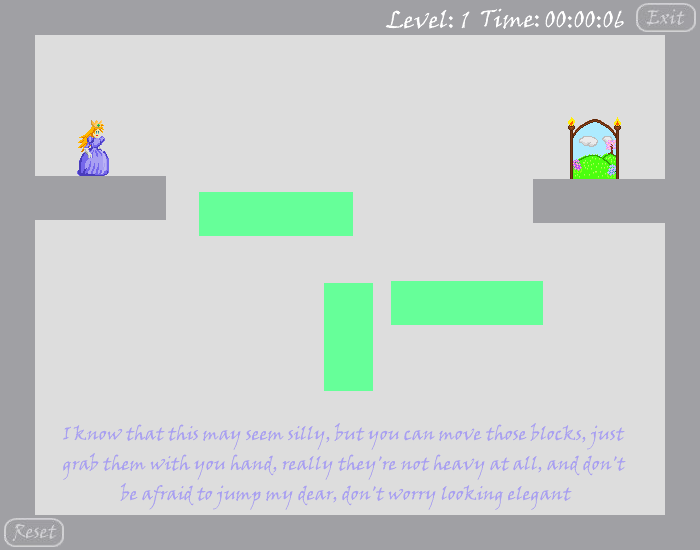 The Princess can effectively fly anywhere by jumping on a single block as long as the player moves the block up under her feet before the crest of her jump. 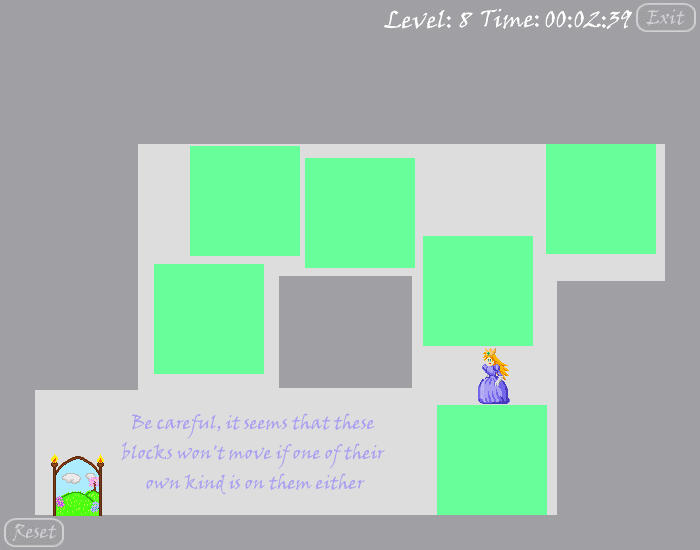 We tried to limit this by preventing the player from moving blocks while she’s stood on top of them, but ultimately some better solution would be required. The gameplay in general can be a bit finnicky. 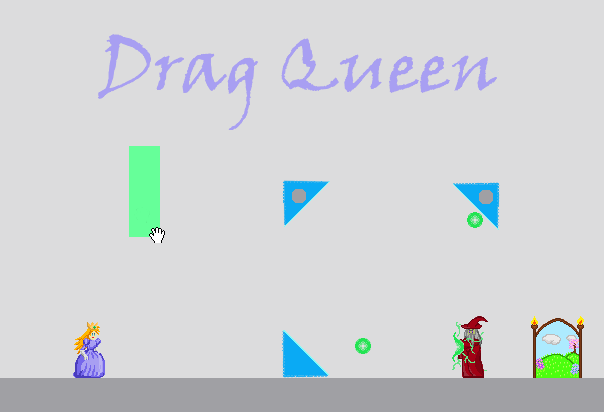 Juggling controlling the Princess and performing accurate block drags can be difficult, especially with the weird offset that blocks have from the cursor. However, I still think the concept works and could be expanded, especially nowadays with tablet gaming coming into prominence, and the Wii U’s gamepad would be an exciting prospect for this kind of game. 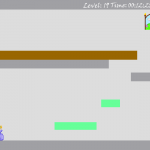 Indeed, Rayman Legends and New Super Mario Bros. U both utilise the gamepad by allowing a second player to place platforms and manipulate levels for the other player, who is in control of a traditional platformer character, so this concept has been proven and could be expanded considerably for such a platform. 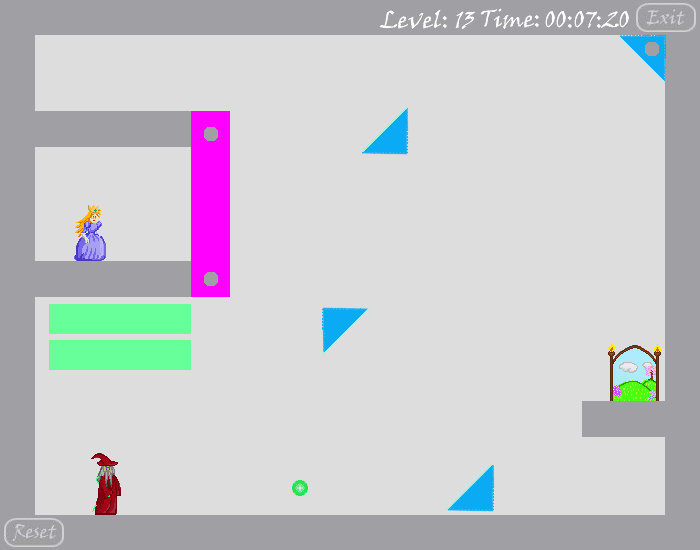 To conclude, despite its flaws, this is still one of my favourite projects, and I’d love to revisit it and experiment with the gameplay at some point in the future. 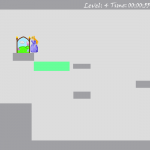 Posted in First Year, Team, University and tagged 2D, Adobe Director, Level design, Platformer, Princess, Puzzle platformer on November 20, 2014 by jmills.